If you’re looking for a trip that will leave your senses exhausted from a kaleidoscope of input, catch the next plane to Las Vegas. But, if hearing your own thoughts is music to your ears, you’ll find solace in Christie’s Mill Inn & Spa. Overlooking the Trent Severn waterway, Christie’s Mill is a romantic and quiet hideaway at the mouth of southern Muskoka. Those with an appreciation for antiques and an old-fashioned feel will feel right at home in the French country décor. It’s Muskoka wrapped in European flair, which makes sense considering it’s been in primarily German hands since the 1980s when a doctor from Germany purchased what was then Arrowhead Lodge with the intention of establishing a wellness retreat for his patients. The doctor later sold the property to the Breckbill family, who changed the name to The Inn at Christie’s Mill in 1991. The Breckbill’s ran the Inn until 1998 when another doctor from Germany, Dr. Bouhan, purchased the facility. Bouhan renovated majority of the property and added conference rooms. In 2002, Christie’s Mill was sold again, this time to a Count from Germany, Graf Von Goertz. From 2002 to 2004, the Count’s Wing was added, which included 15 deluxe suites, wellness centre, indoor saltwater pool and spa. The luxury suite is decorated in his own private furniture collection dating back to 1830. Wolfgang Stichnothe is the innkeeper of this great place for girlfriends or couples to getaway, unwind in the spa until their muscles have turned to Jello and then stay up too late indulging in a hot tub and intimate conversation. The Avalon spa at Christie’s Mill has contemporary amenities but keeps the warm and traditional feel of the rest of the resort. A treatment followed by champagne while lounging in white oversized chairs is a sure way to restore the soul as much as the body. The spa offers a full gamut of delights, such as a Vichy rain shower, body wraps, facials, mani-pedis and massage (registered therapists are available). Getting that relaxed works up an appetite and Twigs dining room does not disappoint, unless you’d prefer your steak not too melt in your mouth like fine chocolate. Artful presentation and well timed service, combined with a view of Gloucester Pool make your meal feel like a celebration in itself. Twigs restaurant is relaxed yet formal with a Parisian inspired cuisine and carries an extensive list of hand-picked wines to pair with Chef de Cuisine David Scoffield’s creations. Scoffield apprenticed with the Chef de Cuisine at the White House and regularly travels to Europe to update his culinary skills. Christie’s Mill has carved a niche in marking special moments and it’s no surprise the Inn does a brisk wedding business and caters to going the extra mile for couples. The resort recently introduced a Spa Passion package, which includes an aphrodisiac-inspired platter, bottle of bubbly, rose petals, aromatic massage lotion, a hot massager and suggestive tips to enhance the night through an in-room DVD showing guests how to give each other a romantic massage. Couples on the Spa Passion package stay in the premier spa suites which have private outdoor hot tubs, king beds and floor to ceiling stone fireplaces. The spa suites are one of a real variety of accommodation options at Christie’s Mill. All rooms have fireplaces and most have a water view. The traditional, terrace and mill rooms offer slight variations in setup of a typical hotel room. The spa, honeymoon, deluxe and luxury suites have significantly more character and amenities over the standard rooms, providing definite dollar value for the upgrade. There are a number of attractions within a reasonable drive if you crave a little exploring, such as ferry service to Beausoleil Island, canoeing, paddle boats, pontoon tours and of course golfing. Christie’s Mill packages with Bonaire GC, Brooklea G&CC and Oak Bay G&CC. Packages include dinner, breakfast and 18 holes with a cart. Take your sticks and head up to Christie’s Mill for a serene escape. The tranquility and adult atmosphere will have you bonding over the finer things in life with your favourite friends and loved ones. 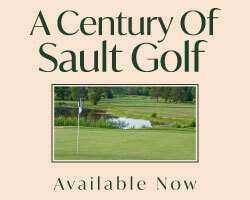 Located in Port Severn along 330 acres of prime Georgian Bay shoreline, Oak Bay promises to be a treat for players hungry for a new Muskoka experience. The championship course was inspired by the exclusive Reynolds Plantation golf community in Georgia, U.S. The front nine will be open for play in July, with grow-in of the back nine slated to finish this season and open for the fall. Oak Bay G&CC is part of a larger lifestyle development that includes a variety of real estate options, trails, boardwalks, a fitness studio, swimming pools, tennis courts, beach volleyball, fishing and a marina.